The Ardbeg 10 needs water to soften the stronger flavor notes and to allow all of its complexity and a pleasant sweetness to come through. 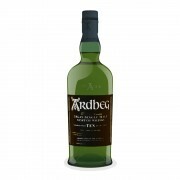 More than any other whisky I've tried, it really does improve with just a bit of water. Try that and see for yourself.